Hey friends and happy Friday! We’ve returned from our trip to Minneapolis for #HomebrewCon2017 and – to say the least – wowzers. WOWZERS! We had every intention to actually record episodes of Homebrew Happy Hour while there on the show floor BUT, believe it or not, we were so busy at the CMBecker booth that we had no time to record (or eat, or sleep… we made time to drink though, don’t worry about that!). 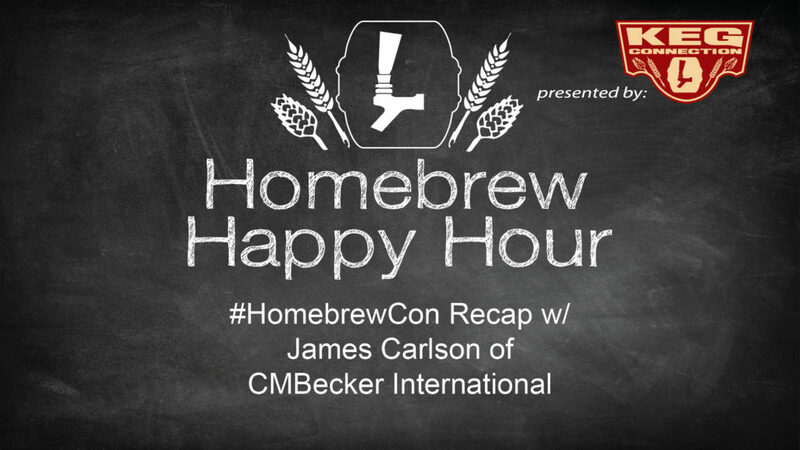 In this “recap” episode, I (joshua) phone in CMBecker’s Director of Operations, James Carlson, to wrap up our thoughts on #HomebrewCon2017 and say “thanks!” to him for filling in for the MIA Todd Burns. Todd *should* be back soon though!